You know which apps I'm talking about. They're games that inexplicably need every permission, memory managers that promise to clean up RAM, and apps that promise free stuff. A lot of people don't know what's up with this stuff, but you do, and you can help them. It won't be easy, just like convincing your parents that their dubious political views aren't healthy, but you'll sleep a little better knowing that you took money away from a few lying jerks. Note: I've written this post with occasional tongue-in-cheek comments that are meant to be read in a somewhat sardonic tone. The goal is to impart a little humor, not insult or mock family and friends. I just wanted that to be clear, especially in cases where certain idioms and sarcasm may not translate well. Three years ago, in August 2015, an app came across my desk that demonstrated how pitifully dishonest developers could be. It was named RAM Booster 2015, and we pondered how something like this could hit 100K downloads. What made this app so interesting is that it did nothing. No, seriously, nothing. I decompiled the app and picked through the code with a couple other people. We quickly found that the only code not belonging to ad networks was there to drive a button and progress bar. Tapping the button would begin filling the progress bar, and eventually reveal a message claiming "Your RAM memory is boosted" in a pop-up box. Oh, there was one more thing in the code. RAM Booster 2015 attempted to call a private method named freeStorage from the Package Manager. The first problem with this is that freeStorage wasn't intended to kill background apps, but instead triggers the OS to erase app caches. But it couldn't actually do that either, because freeStorage requires a CLEAR_APP_CACHE permission with a protection level of systemOrSignature, meaning it can only be granted to system apps or those that were signed by Google, OEMs, or other trusted parties. That's actually a good thing, because if freeStorage were to be called, it would actually slow down a device each time cache has to be rebuilt for your apps. #AccidentallyNotMalware? 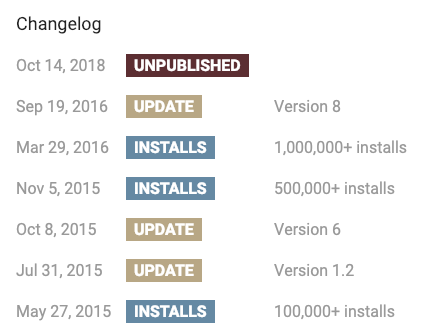 The following year, this heap of steaming dung eventually hit 1 million downloads. It wasn't until just a few months ago that Google finally removed it, along with many others that we had reported. Truth be told, I've been trying to write this post for 3 years, but I've always been too busy and the timing never really worked out. By some coincidence, Google happened to hit my growing list of these shady apps this year. Google deserves a lot of credit for tightening the leash on bad practices. Some of the worst offenders were eliminated altogether, and many others had to change entire business models to avoid being banned. Malware and spyware have been slashed significantly thanks to scanners like Bouncer and what's now called Play Protect. Despite Google's best efforts and tons of removed apps, there are still plenty of bad guys sneaking through the gates onto the Play Store where they're able to take advantage of your clueless siblings. Since this summer, we've seen a shady battery saver, a massive ad fraud operation, and some (trending) apps installing outright viruses. And before anybody writes this off as just an Android thing, keep in mind that Apple hasn't been able to keep iPhone users away from plenty of very serious scams and privacy violations, too. There are even plenty of shady and opportunistic apps that aren't necessarily considered malware (yet). 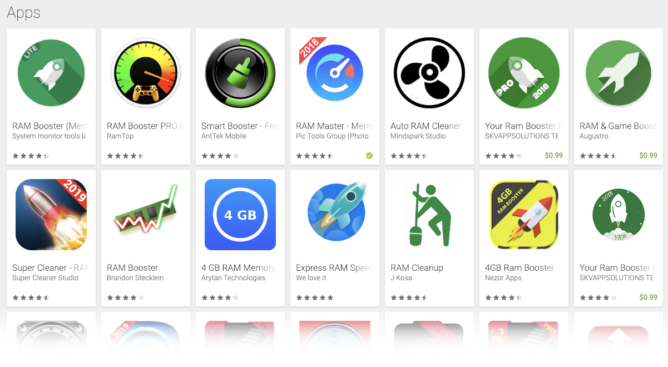 Take RAM Master, an app that was first published early last year and has amassed well over 10 million downloads. It claims to cool your CPU by "freezing overheating apps." Seriously, you can't make this stuff up; but judging by that download number, your hapless neighbor totally believes it and has recommended the app to everybody else. There's more to it than just a task killer. RAM Master also includes a crapload of code and resources for Simeji, a Japanese-oriented keyboard that was acquired by Baidu back in 2011. It's also stuffed with images and code for a game called "Count Cash Till Hand Twitching." Spoiler: that game hijacks your lockscreen. You're not going to find these things mentioned in the description or screenshots, and they belong in a memory manager about as much as Gilbert Gottfried should be singing Selena Gomez. After testing RAM Master on four malware scanning services, I was surprised to see that only one flagged it while the others considered it safe (flagged, cleared: 1, 2, 3). Regardless, it still requires 51 permissions, and I think you can guess most of those have nothing to do with what the app claims to do in its description. There are even a couple permissions that can only be granted to system apps. 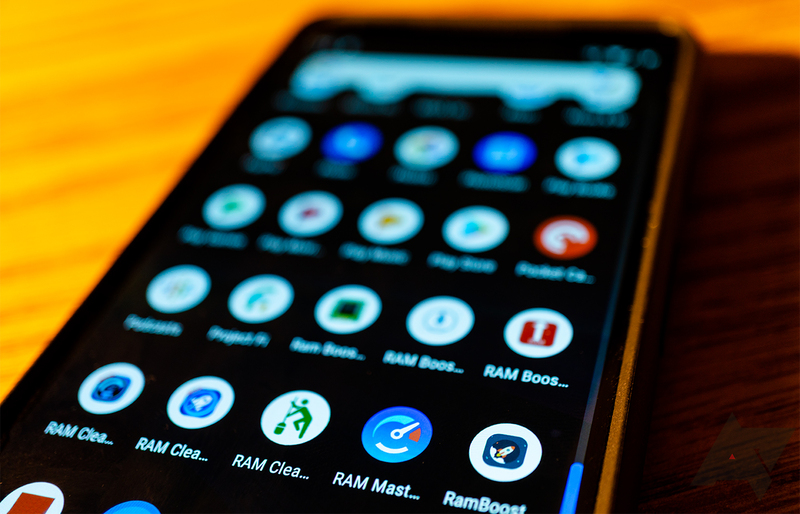 RAM Master also incorporates several ad networks, including Google's AdMob, Facebook, intowow, mopub, and Taboola. There are more, but you get the idea. You're not surprised by this. At the end of the day, the only reason these apps exist is because they're profitable. Much like scam calls, they wouldn't exist if they weren't working on somebody. It's a numbers game, and the bad guys have the advantage. If you like your family, or at least prefer them to the sleazy people that make these apps, a good way to show your affection is to make everybody uninstall the junk. If you're not sure where to begin, try looking for apps that exhibit odd behavior, like using too much data or waking up often. Look through the list of floating apps (permission to draw on top of other apps) and Device Administrators for some that definitely don't need it. You could even try using some malware scanners, but keep in mind that many of those are just as bad (example).